Our venture capital fund invests in high growth companies in the fields of food science and technology with a specific drive towards products that help consumers stay healthy. Our unique investment insight combined with new product development expertise gives businesses a unique competitive advantage when it comes to building successful independent ventures. Read about our approach to investing and working with you. Allylix, based in San Diego, California and Lexington, Kentucky, is a developer of fine chemicals and related products for the flavour and fragrance, food, pharmaceutical and agricultural markets. Allylix's technology platform allows terpenes, a class of natural products which give plants their characteristic flavours and fragrances, to be produced via fermentation in yeast. Allylix's technology replaces the costly and laborious extraction of terpenes from plants and enables cost effective production of flavours and fragrances for use in perfumes, personal care, food and household products. In November 2014 it was announced that Allylix had been acquired by Evolva Holdings SA. Changing Health, a spin out from Newcastle University UK, is a digital health company focused on helping diabetic patients manage their condition through personalised changes in nutrition and exercise. The company is based on a technology platform developed by Prof Mike Trenell within the university’s medical faculty and is underpinned by clinical evidence, proprietary know-how and intellectual property. Changing Health aims to be the leading provider of evidence based decision making tools for lifestyle and chronic disease management. Evolve Biosystems is a spin-out from the University of California, Davis based on revolutionary science in the field of probiotics and prebiotics for new born infants. The development of a healthy microbiome in the infant gut is crucial during the early months of a baby’s development. A decade of research into the field is enabling Evolve to create a series of products to normalise infant microbiome development. Fugeia, based in Leuven Belgium, is a functional food technology business with a focus on wheat bran fibre and digestive health. A spin-out from the Katholieke Universiteit Leuven, Fugeia developed a proprietary, patent-protected arabinoxylan oligosaccharide ingredient derived from natural wheat bran fibre, with potent prebiotic and antioxidant functionality. In February 2013 it was announced that the technology and corresponding intellectual property had been acquired by Cargill Inc.
Lumora Ltd., a spin out from Cambridge University, has developed a revolutionary molecular diagnostics platform that identifies and quantifies specific pathogens rapidly and accurately. Lumora’s platform has been licensed and launched globally by 3M for application in food safety and the Company is now focusing on high value clinical applications as well as other industrial applications with a range of commercial partners. In September 2015 it was announced that Lumora Ltd. had been acquired by Erba Diagnostics Mannheim GmbH. Nutriati Inc., is a Richmond, Virginia based food technology company focused on the research, development and commercialization of innovative plant-based food ingredients. 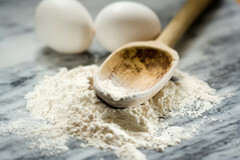 Nutriati’s processing capabilities allow it to leverage new plant-based sources and create ingredients that offer premium in-product functional characteristics that meet the growing global demand for high-quality, plant-based protein and gluten free flour ingredients. Nutriati’s ingredient platform features superior organoleptic characteristics to current ingredient offerings, thus enabling food manufacturers to create plant-based food options with taste, texture and nutritional profiles that were previously unattainable. ProLupin, based in Grimmen, Germany is a spin-off of the Fraunhofer Institute for Process Engineering and Packaging in Freising, Germany. The company focuses on the development, manufacture and marketing of plant origin, lactose-free milk substitutes based on protein from blue sweet lupin. This native legume is particularly rich in protein and will grow in poor soil and harsh climates. 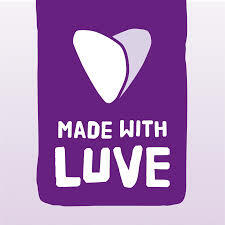 Prolupin is developing its own range of products which are pure organic, non-GM and free from lactose, cholesterol and gluten (except pasta) under its MADE WITH LUVE brand (www.madewithluve.de). This strategy aims to help increase consumer interest in lupin protein and to support sales and development of its range of lupin ingredients. If you have a product or technology that you think would be interesting to us, get in touch. Innovation is the life-blood of our business; find out our approach to this exciting area of our business and read about some of our product success stories. Open Innovation is a separate part of our Innovation offer. If you’re not looking for investment but would like help in getting your product to market quickly and easily find out about our Open Innovation process. London, UK, 20th December, 2018 - Changing Health, a leading provider of digital behaviour change programmes, has secured £3 million in new funding. London, UK, 26th November 2018 - Biofilm has secured a £2.5 million funding package to increase production capacity and expand its product range. Grimmen, May 8 2018 – Prolupin, the innovative plant-based protein company based in Grimmen, Germany, today announced the first closing of a double digit growth financing round which will enable the company to reach profitability. Richmond, VA 20th April 2017 – Nutriati, a food technology company focused on the research, development and commercialization of innovative plant-based food ingredients, announced today that it has closed on an US $8.0 million investment round. Davis, California, May 30, 2017 – Evolve BioSystems, Inc., a microbiome company committed to developing novel solutions to restore and maintain a healthy newborn gut microbiome, today announced that it has completed a $20 million Series B financing to fund the commercialization of its initial products.